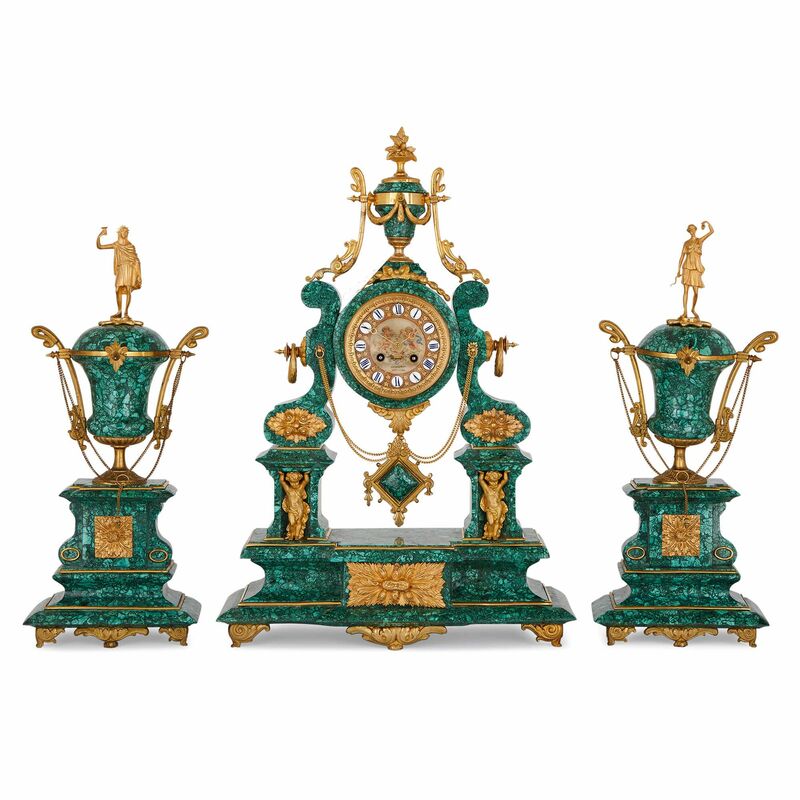 This unusual three-piece clock garniture has an opulent, luxurious feel, thanks to its striking green-coloured malachite veneer and vivid design. 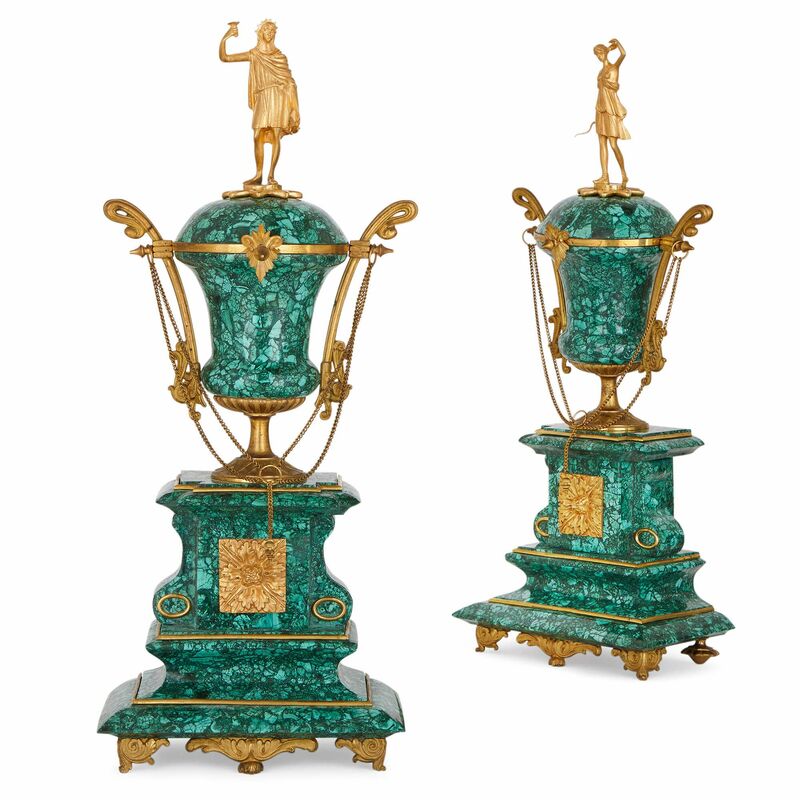 The clock set comprises a central clock and a pair of flanking vases, and dates from the 19th century with a later malachite veneer. 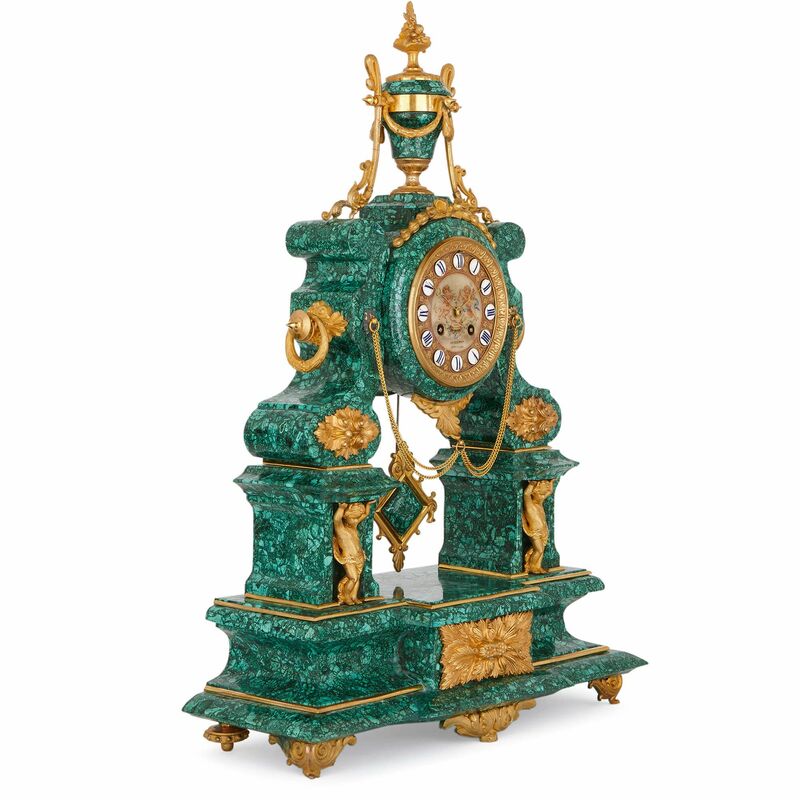 The green malachite surface is combined with lustrous gilt bronze mounts to create a stylish, classy clock set, ideal for adding glamour and sparkle to a mantelpiece. The central clock takes an unusual shape: the central circular dial is supported by two shaped columns on a rectangular plinth base, and is surmounted by an urn with a gilt bronze finial. 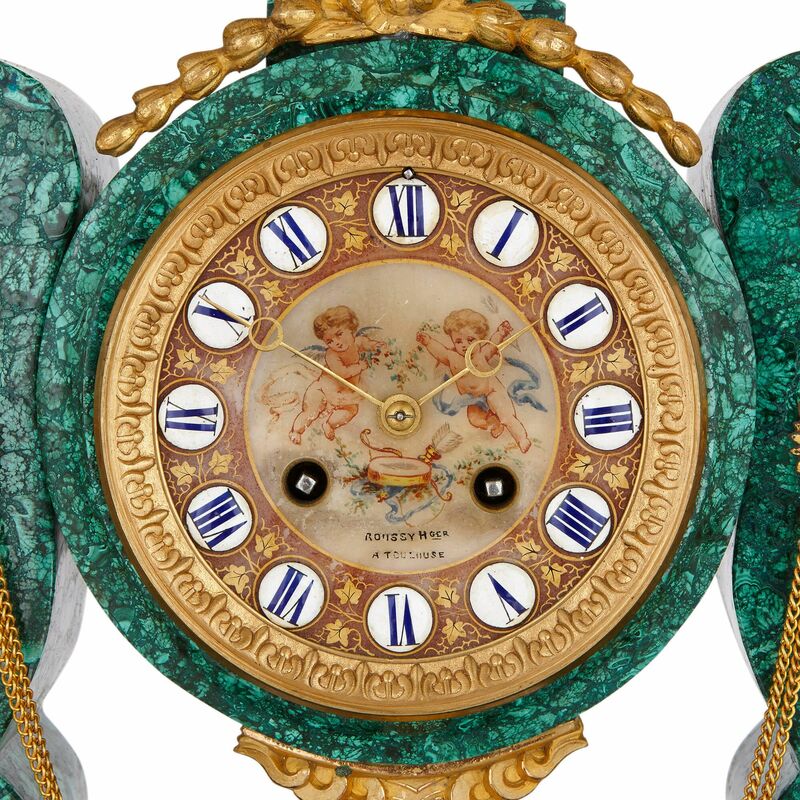 The dial is made from alabaster and is painted with two winged putti. 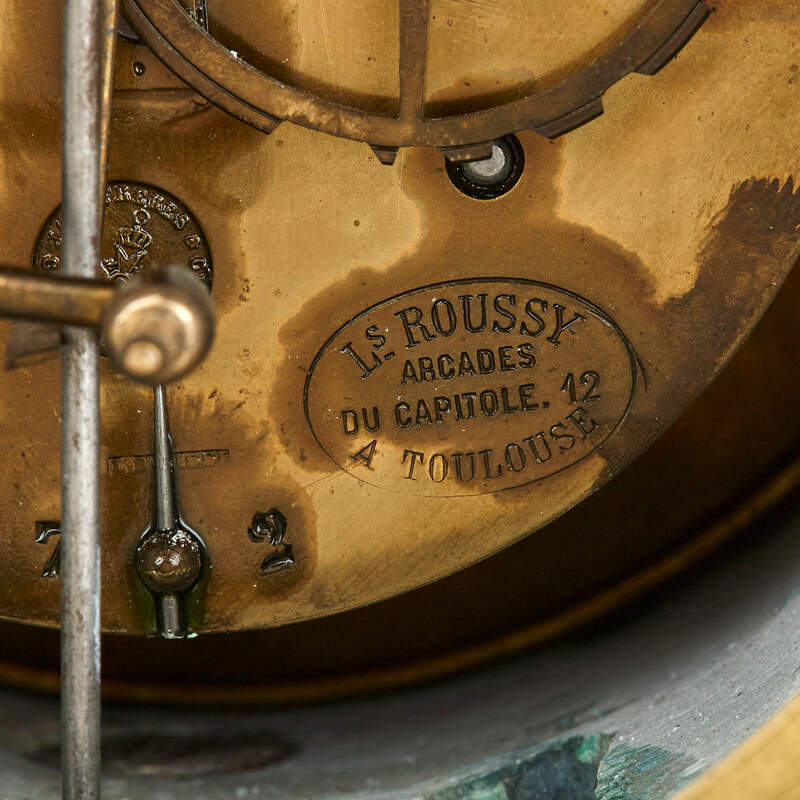 It is signed 'Roussy Hger A Toulouse', after the French clockmakers who designed it; and there is also a stamp on the movement reading 'Ls Roussy / Arcades du capitole 12 / A Toulouse'. 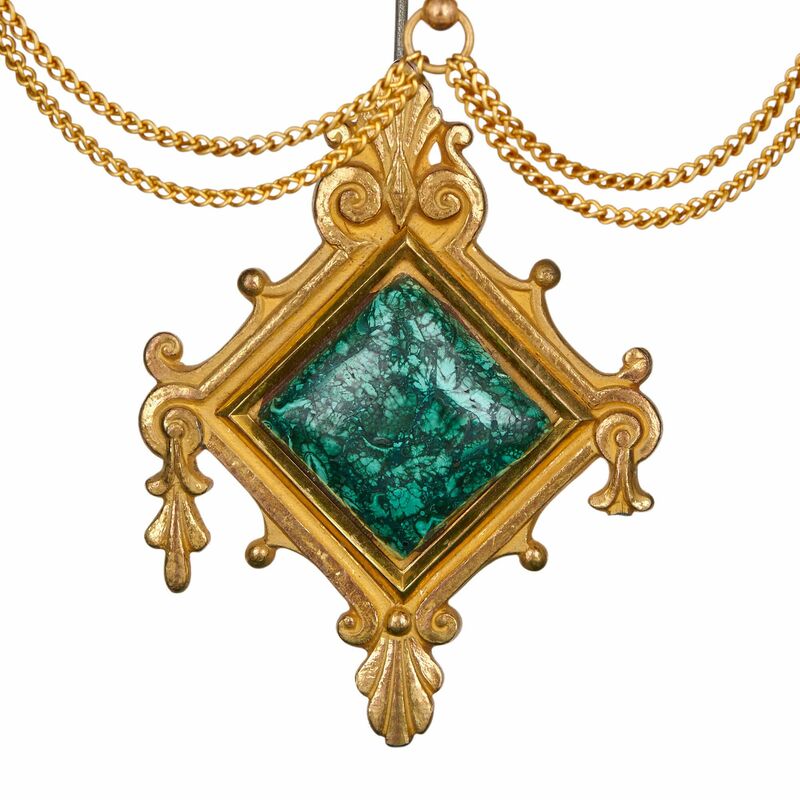 Below the dial there is a gilt bronze pendulum which is set with a malachite gem. 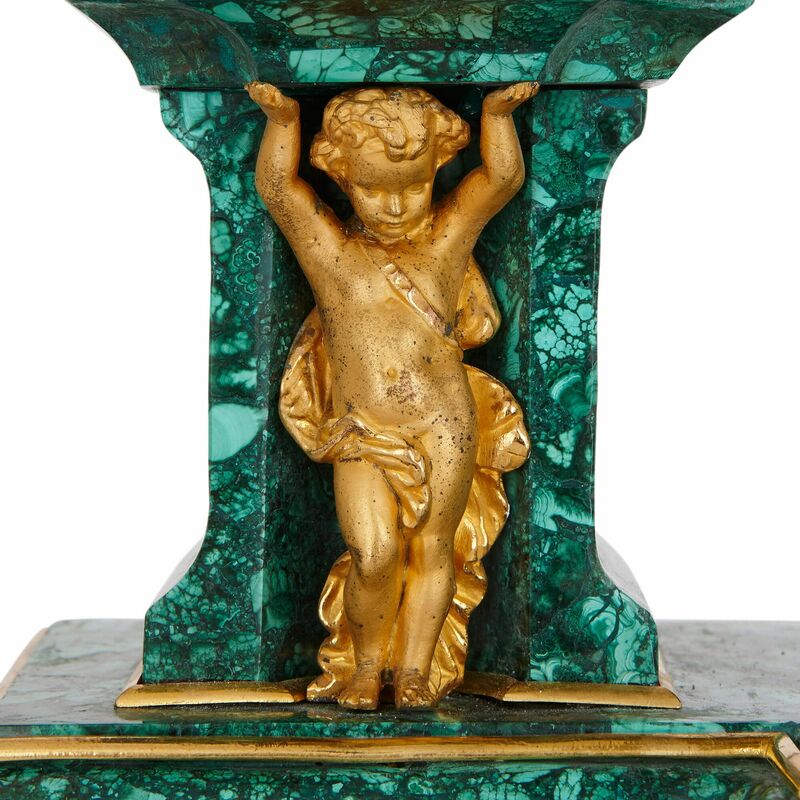 At the base of each supporting column there is a full-length figure of a putto in gilt bronze. The vases are similarly decorated, and take the form of large twin-handled urns on tall plinths. 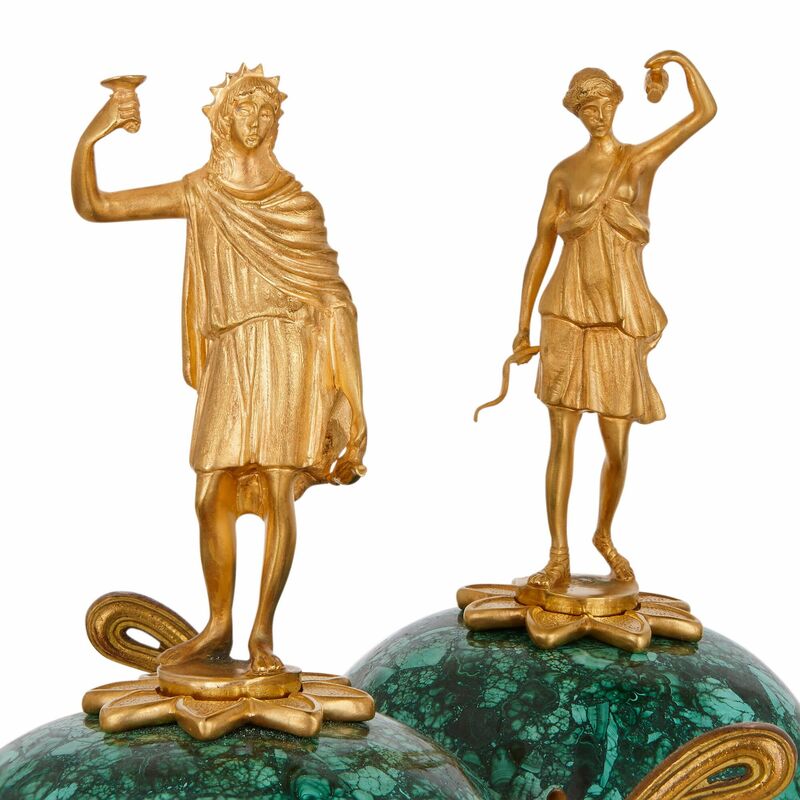 Each urn is surmounted by a gilt bronze Classical style female figure.